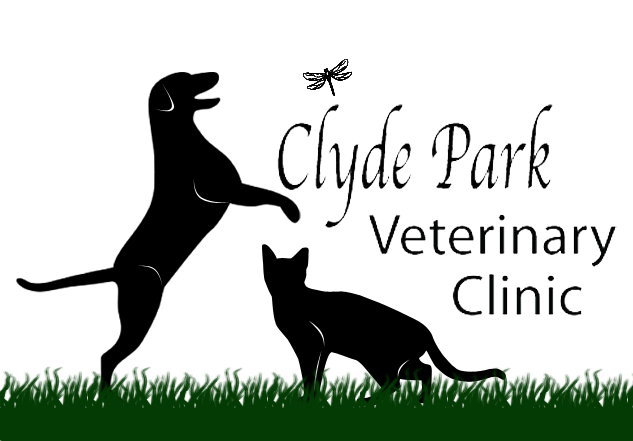 Thank you for choosing Clyde Park Veterinary Clinic. Our primary mission is to deliver the best and most comprehensive veterinary care available for your pet. For some treatments or hospitalized care, a deposit of 50% will be required to begin treatment. We will gladly prepare a written estimate if you desire. ALL FEES ARE DUE AT TIME OF SERVICE. There is a $35 return check fee. If you have an account 90 days past due, Clyde Park Veterinary Clinic may take legal action to recover the balance of your account and additional fees. You agree to reimburse us the fees of any collection agency, which may be based on a percentage at a maximum of 30% of the debt, and all costs, and expenses, including reasonable attorneys' fees, we incur in such collection efforts. A $5 billing fee will be applied to all outstanding account balances older than 30 days. WE ACCEPT Cash, Check, Visa, MasterCard, Discover, and CareCredit. To prevent the spread of infectious diseases and for the protection of all hospitalized patients and employees, all pets must be current on vaccines and free from internal and external parasites. If your pet is found to have fleas while here for grooming, your pet will be treated immediately with CapStar and you will be charged a small fee. The signature below authorizes this minimum level of preventative care. How did you hear about us? If recommended, whom may we thank? Is your pet currently on any medications? Must be 18 years or older to submit this form.